Seemingly messy and chaotic, the landscapes and urban life of cities in Asia possess an order and hierarchy that often challenges understanding and appreciation. 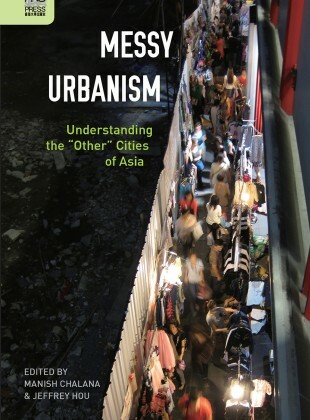 With contributions by a cross-disciplinary group of authors, Messy Urbanism: Understanding the “Other” Cities of Asia examines a range of cases in Asia to explore the social and institutional politics of urban formality and the contexts in which this “messiness” emerges or is constructed. The book is a result of collaboration between faculty in the Center of Asian Urbanism at UW and colleagues in Asia and North America. It brings a distinct perspective to the broader patterns of informal urban orders and processes as well as their interplay with formalized systems and mechanisms. It also raises questions about the production of cities, cityscapes, and citizenship. —José Edgardo A. Gomez Jr.